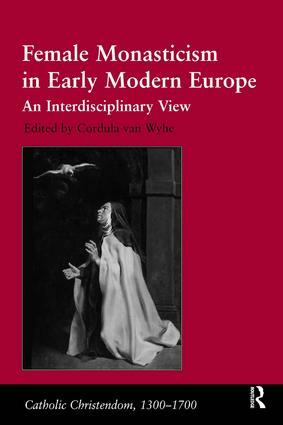 This volume of twelve interdisciplinary essays addresses the multifaceted nature of female religious identity in early modern Europe. By dismantling the boundaries between the academic disciplines of history, art history, musicology and literary studies it offers new cross-cultural readings essential to a more comprehensive understanding of the complexity of female spirituality in the sixteenth and seventeenth centuries. Utilising a wide range of archival material, encompassing art, architecture, writings and music commissioned or produced by nuns, the volume's main emphasis is on the limitations and potentials created by the boundaries of the convent. Each chapter explores how the personal and national circumstances in which the women lived affected the formation of their spirituality and the assertion of their social and political authority. Consisting of four sections each dealing with different parts of Europe and discussing issues of spiritual and social identity such as 'Femininity and Sanctity', 'Convent Theatre and Music-Making', 'Spiritual Directorship' and 'Community and Conflict', this compelling collection offers a significant addition to a thriving new field of study. Contents: Introduction, Cordula van Wyhe; Part I Femininity and Sanctity: Nuns and relics: spiritual authority in post-Tridentine Naples, Helen Hills; Clara Hortulana of Embach or how to suffer martyrdom in the cloister, Ulrike Strasser; How to look like a (female) saint: the early iconography of St Teresa of Avila, Margit ThÃ¸fner. Part II Convent Theatre and Music-Making: Music and misgiving: attitudes towards nuns' music in early modern Spain, Colleen Baade; Traditions and priorities in Claudia Rusca's motet book, Robert L. Kendrick; The wise and foolish virgins in Tuscan convent theatre, Elissa B. Weaver. Part III Spiritual Directorship: Soul mates: spiritual friendship and life-writing in early modern Spain (and beyond), Jodi Bilinkoff; Barbe Acarie and her spiritual daughters: women's spiritual authority in 17th-century France, Barbara B. Diefendorf; The Idea Vitae TeresianÃ¦ (1687): the Teresian mystic life and its visual representation in the Low Countries, Cordula van Wyhe. Part IV Community and Conflict: 'Little angels': young girls in discalced Carmelite convents (1562-1582), Alison Weber; Securing souls or telling tales? The politics of cloistered life in an English convent, Claire Walker; Writing the 30 Years' War: convent histories by Maria Anna Junius and Elisabeth Herold, Charlotte Woodford; Selected bibliography; Index. Dr Cordula van Wyhe, Department of History of Art, University of York, UK.